"Ulrich Beck is one of the most important social theorists of our time. In Power in the Global Age he provides an insightful and rigorous theoretical framework to analyze the new forms of power and counter-power in the global sphere. It shows the relevance of theory for understanding the major political conflicts that are reshaping our world. It will be mandatory reading in universities everywhere." 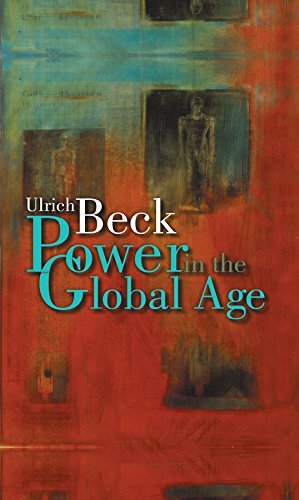 "In this fascinating new book Ulrich Beck develops further a manifesto of, and for, a cosmopolitan world. Especially important is his attempt to decipher and characterize the architecture of cosmopolitan states and civil society. This major book may well do for 'cosmopolitan society' what Beck's earlier works did for deciphering the nature of 'risk society'." This brilliant new book by one of Europe's leading social thinkers throws light on the global power games being played out between global business, nation states and movements rooted in civil society. Beck offers an illuminating account of the changing nature of power in the global age and assesses the influence of the ever-expanding counter-powers. The author puts forward the provocative thesis that in an age of global crises and risks, a politics of "golden handcuffs" - the creation of a dense network of transnational interdependencies - is exactly what is needed in order to regain national autonomy, not least in relation to a highly mobile world economy. It is imperative that the maxim of nation-based realpolitik - that national interests have necessarily to be pursued by national means - be replaced by the maxim of cosmopolitan realpolitik. The more cosmopolitan our political structures and activities, Beck suggests, the more successful they will be in promoting national interests, and the greater our individual power in this global age will be.